Topshop Matte Metallic Nails in Dazed and Confused Swatches! 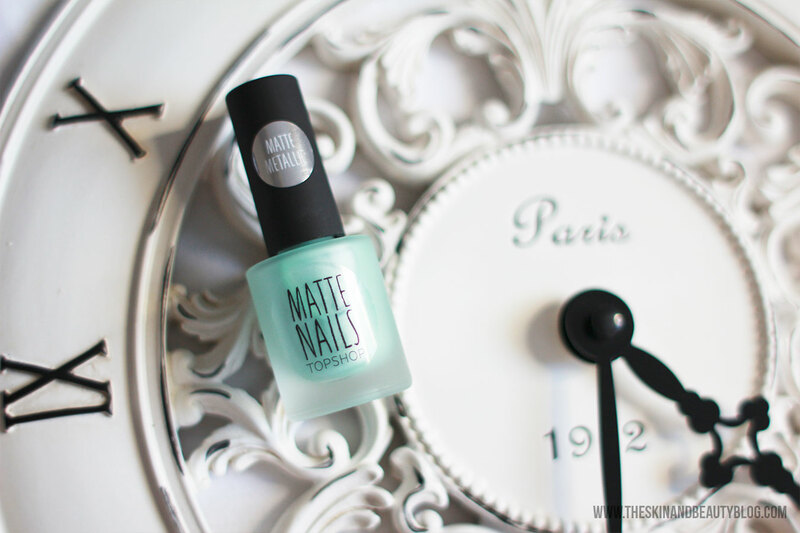 I've got a new minty nail varnish from Topshop to share with you all. It has the most peculiar finish - a matte metallic. Its what metallic nail varnish would look like with a matte topcoat on it, but this is two in one to avoid the extra steps. I have it in the shade Dazed and Confused. See swatches below! 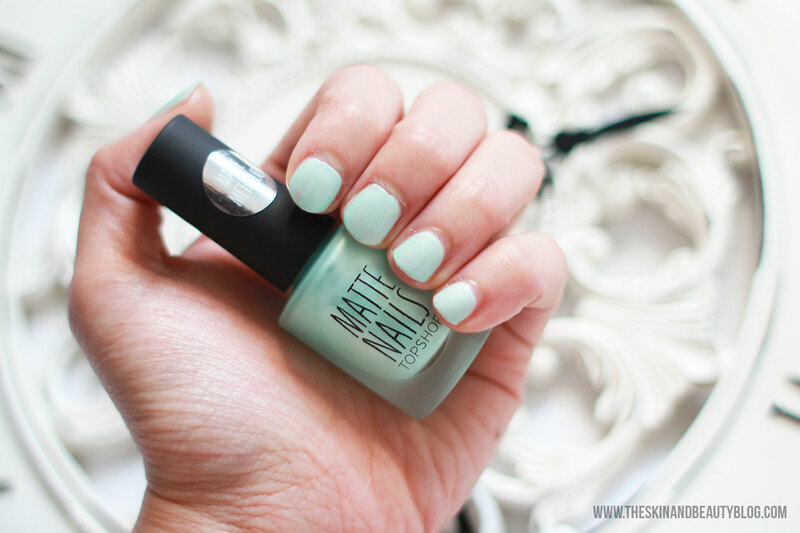 On the nails, Topshop Dazed and Confused Nail Polish is a light mint or a pale greener Tiffany blue shade. It has very fine shimmers that are somewhat grainy in appearance. It requires at least two coats to achieve good even coverage. The brush is ok, pretty easy to work with. Brush strokes are visible though so you need a steady hand. It dries in about a minute which is great for on-the-go. The finish is interesting, but takes some getting used to. I realise I prefer creamy shinier finishes as opposed to matte and I might just add a glossy coat on top of this! What do you think of this finish? Love it or Leave It? Leave a comment below!